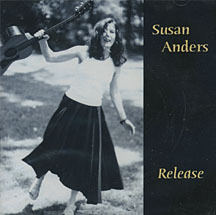 Susan Anders' Solo CD "Release"
The influence of her 2002 move to Nashville shows in Susan Anders' solo album "Release". Lyrically more direct, musically rootsier than her work with Susan's Room, "Release" shows a new side of Susan, anchored as always by her soaring voice and nimble songwriting. "Release" kicks off with the raw, driving "You're My Release" and ends with the confessional "I Don't Do That Anymore". In-between the album glides through themes of love both stable and unstable as well as songs about different life transitions: "I'm a Beginner Again" looks at a recent divorcee starting over, "Crack In The Ceiling" addresses an "Aha!" moment about the need for change, and "Good Times Left" is a celebration of the last days of Susan's father-in-law. Though the topics are serious, the overall tone is up-beat, and hooky choruses abound: this is a great sing-along album. "Release" features Bryan Owings on drums, Dave Francis on bass, Steve Conn on organ and accordian, Jim Hoke on dobro and harmonica, and has guest appearances by Hillary Scott, Dana Cooper, Kathy Hussey, and Susan's Room alumnus Ritt Henn. 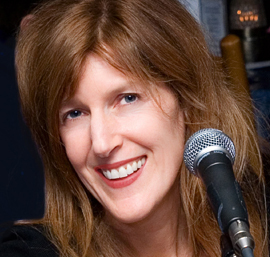 Susan plays acoustic guitar and co-produced "Release" with husband Tom Manche, who also doubles on lead guitar. "Release" costs $10.95 with free shipping.